She qualified and experienced Obstetrician & Gynaecologist. 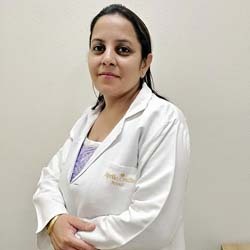 Presently working as Consultant Gynaecologist in Apollo Cradle Royale & her own clinic. She has been involved actively in various CME activities in the local area. Also she has been indulgent in organizing various camps for charity and underprivileged organized by RWAs and Rotary club.